A homemade protein shake is good for your body and your wallet, but when the protein powder gets stuck at the bottom of your cup or bottle, it can be a nightmare to clean. The MOUS Fitness Shaker aims to fix this poor user experience with a few simple yet smart design choices. As opposed to the flat bottom and high, straight sides of most vessels, the Shaker features a rounded bottom so that gunk doesn’t get stuck at the bottom. The rounded canister fits snuggly inside a sleek outer casing to allow the bottle to stand up on its own, and for the user to get a better grip. The inner canister is transparent, letting you see if anything remains after cleaning, and also features measurements marked on the sides to allow you to mix in the bottle. 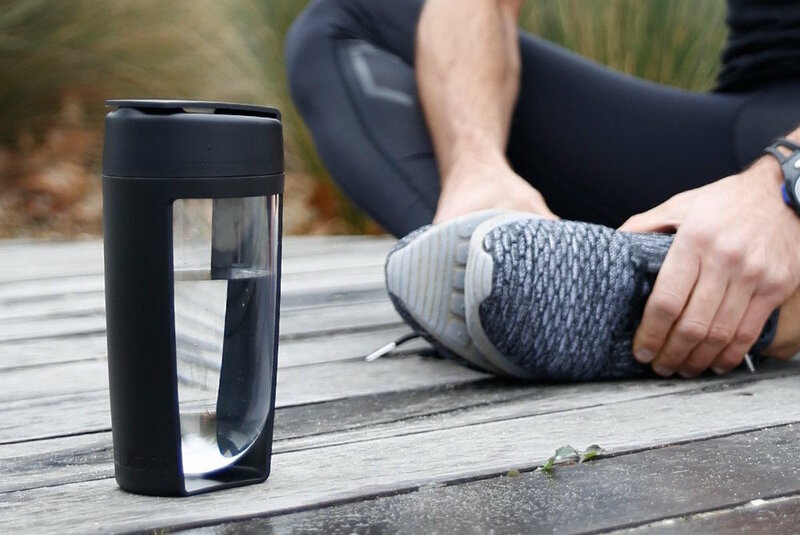 MOUS says the Shaker is both bacteria and odor resistant, and also BPA free, making it perfect for other tasks like infusing waters.